Join Escape Technology’s Lee Danskin as he explores how cloud workflows can be used in visual effects. Whether your project is in post production, architecture, games, or VR the cloud has become a viable option for projects that need additional resources. Find out how you can securely burst to the cloud for rendering, or even spin up a whole studio if needed. One of the foremost authorities on pipeline development and visual effects technologies, Lee has over 20 years’ experience providing thought-leadership and consultation to major post production facilities, architects, and games developers. Lee started his career at Alias as a Senior Applications Analyst. He helped build and launch Maya 1.0 before moving to The Film Factory as VFX Supervisor. 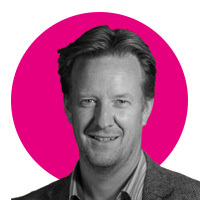 He then joined Smoke + Mirrors as Head of 3D before becoming Deputy Head of 3D Commercials/Broadcast for MPC. Lee moved to Escape Studios as Training Development Director in 2006, where he redefined their training programme by making it more industry relevant. A year later he was made a Maya Master. In 2013 Lee joined Escape Technology as Chief Technology Officer. He consults on all major pipelines and special projects.